A SUSTAINED and significant decrease in overall statin dispensing, affecting more than 60 000 people, has been blamed on a 2013 episode of the ABC program Catalyst, which criticised statin medications. Dr Jennifer Johns, a Melbourne cardiologist and president of the National Heart Foundation, told MJA InSight that while Catalyst was produced by a highly regarded and trusted network, the report on statins was “extremely misleading”. “The program did get it wrong — and people believed it”, Dr Johns said. The authors used PBS records to measure changes in weekly dispensing and discontinuation of statins, using the dispensing of proton pump inhibitors (PPIs) as a comparator. The average age of the statin users in the study in 2013 was 72 years. In the study sample, 191 833 people were dispensed an average of 26 946 statins weekly. Following the Catalyst program, 2.6% fewer statins were dispensed every week (a total of 504 180 fewer dispensings of statins), which the researchers said equated to 60 897 Australians affected up to 30 June 2014 due to increased discontinuation, decreased initiation and/or poor adherence. The authors found no significant changes in PPI use after the Catalyst program. They said that even though the observed effect of Catalyst was small, the prevalence of statin use in Australia and the established efficacy of the drug meant that a large number of people were affected, and they could suffer unnecessary consequences. “The subsequent retraction of the program may counteract some of the apparent negative impact, but this remains to be seen”, the authors wrote. Associate Professor Leon Simons, professor of medicine and director of the lipid research department at the University of NSW, told MJA InSight that this study was one of many that had demonstrated how an adverse media report can influence patient behaviour. Professor Simons said it was unfortunate that while the positive results of research showing the cardiovascular benefits of lipid therapy were often not considered newsworthy, “the slightest hint that any medical therapy may have adverse effects leads to sensational headlines”. He said in a democracy claims made by the media could not be regulated or legislated, but the medical community could be more proactive. “Patients should be advised not to derive any personal health advice from the media. Instead, they should be offered balanced advice sourced from scholarly and academic bodies. Professor Ian Hamilton-Craig, clinical lead and professor of internal medicine and preventive cardiology at Griffith University’s school of medicine, agreed that a continued effort by doctors was needed to emphasise the role of statins in reducing heart attack and stroke rates in people at all risk levels. “Patients who complain of statin adverse effects need to be assessed carefully to ensure the symptoms are related to statin therapy and not to other causes”, he told MJA InSight. 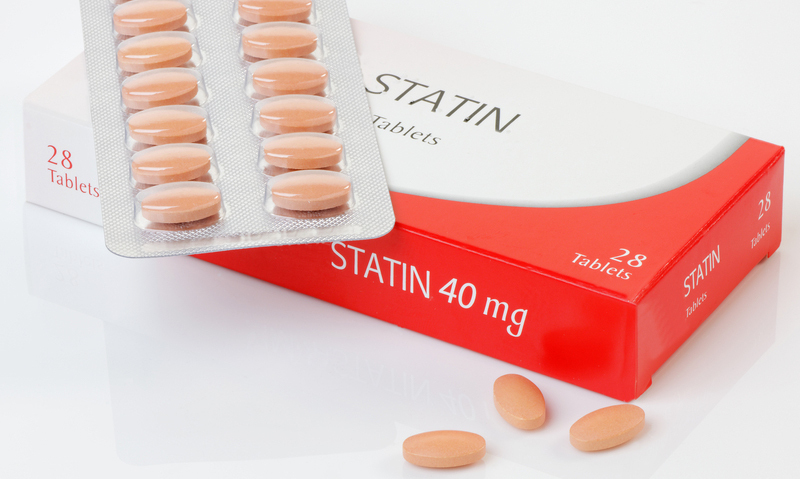 Professor Hamilton-Craig said that following the Catalyst broadcast, many clinicians noticed the drop in statin use and they “expressed concern that the benefits of statin therapy were being lost through inappropriate discontinuation”. Dr Johns said she had received a number of phone calls and emails from her patients who had seen the program and were worried about their own statin therapy. Dr Johns said there was one positive outcome from the Catalyst program — it put the spotlight back on cardiovascular health and reopened public discussion. “There’s this sense that we’ve ‘fixed’ heart disease, and people have now become much more worried about cancers. But the battle against heart disease is not over”, Dr Johns said. How can doctors assist patients who have stopped, or want to stop taking statins because of media reports such as the Catalyst program? Interesting how a program that is critical of the over-prescription of statins, and how this has contributed to increase in adverse effects, is universally condemned by so many eminent people. Statins are the most prescribed medication in the world, and the biggest money-earner for Big Pharma. Their role in secondary prevention of heart attack and stroke is perhaps well established, but I would dispute any such proven role in the primary prevention. I would particularly dispute the need “for a continued effort by all doctors to emphasise the role of statins in reducing heart attack and stroke rates in patients at all risk levels”. Unless he was suggesting the efforts by doctors are to emphasise the very limited role except for patients at high risk, and to focus on lifestyle factors like a better diet and exercise. Also, I frequently see very elderly patients and NH patients, who are still on statins. These are the very patients who should be ‘appropriately’ discontinued. Here is hoping that Catalyst, and perhaps medical journals, will continue to publish a balanced view that includes dissenting views from ‘Big Pharma’. Would much rather hear the actual number of people whose life is saved per 100 users. NNT will do. Instead of all the ‘heart felt’ messages from the experts. Just give us the facts. In a table with comparison to to effects of daily activity levels etc. If the data is good then lets continue. I discontinued statin use after developing a sensorimotor peripheral neuropathy. All possible causes other than statin use were appropriately excluded. Most of the big statin studies did not specifically monitor patients for this adverse effect so I suspect it was under-reported. The ABC programme was a timely criticism of statin use and ABC should not have succumbed to Big Pharma pressure. Cardiologists in their assessment of statins tend to be compromised by a conflicted relationship with Big Pharma. They seem to have overlooked the fact that cardiovascular disease is an inflammatory process which is central to managing patients. The gut microbiota is likely to be pivotal in the pathogenesis of inflammation and thence cardiovascular disease. That is why diet and exercise are key in management. Clinicans should be re-thinking statin use in the interests of their patients. I, too, stopped statins when that Catalyst segment was aired. Having read more, I am now back on them again. Unfortunately exercise in the amount needed is impossible for me, I am a cripple, restricted by spinal and joint problems and severe dyspnoea (pulmonary artery hypertension). Obviously more testing is required. Meantime “Big Pharma” always needs watching!! I work in emergency medicine and every day see elderly patients who are taking large numbers of medications, many of which would appear to be giving little benefit in the last few years of life. Statins figure prominently in this polypharmacy. I welcome more programs like Catalyst that will make practitioners more carefully consider why and what they prescribe. If the review of the “Catalyst effect” only focuses on numbers of prescriptions rather than the appropriateness, isn’t is risking being just as bad as the Catalyst program? It is reality that statins – like antibiotics – ARE over-prescribed. That doens’t make either of them useless. There is good evidence for statins in two main areas: those with established coronary disease and those with familial hypercholesterolaemia. Like Peter, I see over-nineties still on statins. If the Catalyst program – flawed as it was – prevented some inappropriate prescribing, it has done some good. The profession does itself no favours by being self-righteous. A review of prescribing was appropriate. And, in all fairness, the review could equally have calculated the number of side-effects and complications potentially achieved by the reduced prescribing. Hooray for Catalyst. Anyone can see that there are hordes of old people taking many more medications than they need. I regularly see patients on statins complaining of muscle weakness and pain. The doctors iterviewed by Catalyst were professors from Harvard, not some Joe Blow. Big Pharma is a poison and if the medical profession cannot stand up to them we will be judged harshly. A follow-up comment: the study DID seek to assess appropriateness by a surrogate measure – which was other cardiac or diabetes medications dispensed together with the statins. The authors comment that statins are both underprescribed in high-risk patients and over-prescribed in the low-risk. Studies of appropriateness, and practical guidelines are warranted, as well as practical guidance about the risk-benefit of preventive therapies in the very old (where there is little study data). This would be much more constructive than fights between pro and con, or conspiracies about Big Pharma. It is the responsibility of our profession to maximise the appropriateness of prescribing. We are working on this with antibiotics – why not also with statins? The proof of the pudding will be if there is any statistical increase in CVA’s and myocardial heart disease in inverse proportion and commensurate to the recent decrease in statin use. Been there done that and would rather take the risk of slightly reduced life span in return for a clear head. Relatively simple way to test is to cease statins for at least 3 months and assess mental cognition with and without the drug. Viewed from where I work in general practice the Catalyst program had a very beneficial effect, with many patients asking whether they stil needed to take their statin. Many ongoing treatments had not been reviewed for 10 or 15 years, and had been started in the days when we treated “cholesterol” as opposed to the current treatment of CVD risk. Many low risk patients could be taken off the medications. My only argument with the program was they interviewed a somewhat crackpot collection of American experts when there are many Australians with a good grasp of the evidence base who could have given better information on the risks and limitations of statin treatment.